Employees who take on volunteer leadership roles are able to build new skills and practice existing skills in a different setting from their day-to-day job. They can try something that is different from their usual work and bring back those skills, thereby adding value to their employer by improving their current job performance. They may even enhance the succession management efforts of their employer because they become ready to move into positions of greater responsibility faster and more effectively than had they not taken on the volunteer role. 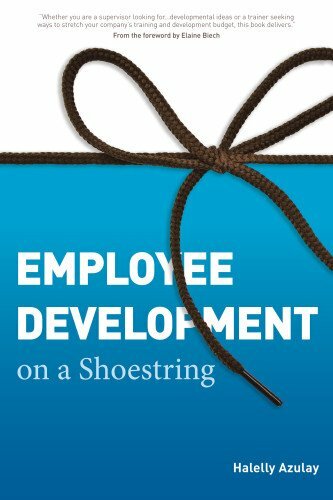 The best part about this employee development strategy: it doesn't cost the organization anything compared to sending the employee to costly training workshops or hiring a coach. Just as bees help flowers by bringing pollen from one flower and dropping it on another, employees who volunteer can help their employer organization by bring back ideas and solutions that they picked up while volunteering. Sometimes a fresh perspective is exactly what we need, and looking in the same places and thinking in the same way about problems is not the best way to get that kind of new thinking. We all need to go outside our 'box' to gain new perspective. When employees engage with other organizations and other industry professionals in their volunteer role, they can sometimes see their job from a different perspective and gain insight into solutions to those illusive problems or ideas for new methods, products, services, or improvements to the current work flow or processes. When an employee serves on a Board or a Committee with a non-profit, both the employee and its employers gain from associating themselves with an act of generosity and community service. Not only is the employee's contribution appreciated, but indirectly, the employer is seen as benevolently complying and supporting the employee's efforts to give to the community or the cause. This enhances the brand recognition and good will of the employer. So the value of volunteer leadership is unmistakable - both for the volunteer and his or her employer. What have been your experiences with volunteer leadership? I would like to hear about them. Feel free to leave a comment below.